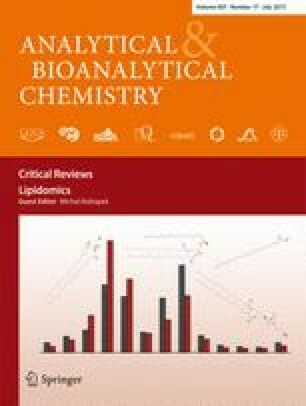 Oxidized lipids play a significant role in the pathogenesis of numerous oxidative stress-related human disorders, such as atherosclerosis, obesity, inflammation, and autoimmune diseases. Lipid peroxidation, induced by reactive oxygen and nitrogen species, yields a high variety of modified lipids. Among them, carbonylated lipid peroxidation products (oxoLPP), formed by oxidation of the fatty acid moiety yielding aldehydes or ketones (carbonyl groups), are electrophilic compounds that are able to modify nucleophilic substrates like proteins, nucleic acid, and aminophospholipids. Some carbonylated phosphatidylcholines possess even pro-inflammatory activities. However, little is known about oxoLPP derived from other phospholipid (PL) classes. Here, we present a new analytical strategy based on the mass spectrometry (MS) of PL-oxoLPP derivatized with 7-(diethylamino)coumarin-3-carbohydrazide (CHH). Shotgun MS revealed many oxoLPP derived from in vitro oxidized glycerophosphatidylglycerols (PG, 31), glycerophosphatidylcholine (PC, 23), glycerophosphatidylethanolamine (PE, 34), glycerophosphatidylserines (PS, 7), glycerophosphatidic acids (PA, 17), and phosphatidylinositiolphosphates (PIP, 6) vesicles. This data were used to optimize LipidXplorer-assisted identification, and a python-based post-processing script was developed to increase both throughput and accuracy. When applied to full lipid extracts from rat primary cardiomyocytes treated with peroxynitrite donor SIN-1, ten PL-bound oxoLPP were unambiguously identified by LC-MS, including two PC-, two PE-, one PG-, two PS-, and three PA-derived species. Some of the well-known carbonylated PC were detected, while most PL-oxoLPP were shown for the first time. Overview of analytical and bioinformatics approach for detection and identification of carbonylated phospholipids. The online version of this article (doi: 10.1007/s00216-015-8536-2) contains supplementary material, which is available to authorized users. The authors are thankful to Prof. Ralf Hoffmann (Institute of Bioanalytical Chemistry, University of Leipzig) for providing access to his laboratory and mass spectrometers. Financial support from European Regional Development Fund (ERDF, European Union and Free State Saxony; 100146238 and 100121468 to M.F) and a stipend to I.M. provided by Universität Leipzig are gratefully acknowledged.